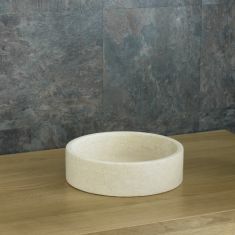 Each of our beautiful stone bathroom basins has been created from hard wearing natural limestone to give your bathroom a modern and stylish feel, without a painful price tag. 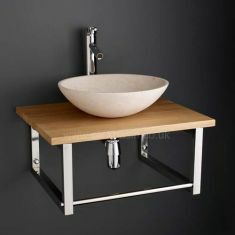 Natural limestone basins and sinks undoubtedly stand out from the crowd with their sediment layering, ensuring they are smooth to the touch. 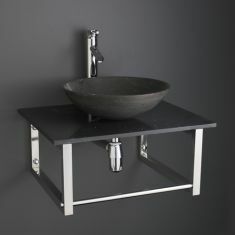 Our basins are available in the sleek shades of Cream Galala and Dark Grey Black, so there’s a basin for every bathroom. 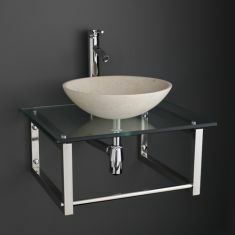 These freestanding stone basins provide an elegant feature to bathrooms, whether that be on their own or as part of a basin set with a Tall Monoblock Tap and Chromed Non Slotted Waste. 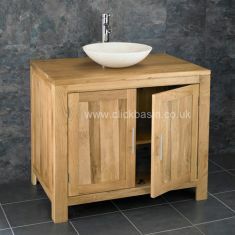 Whatever you’re looking for, we’ve got the stone basin for you. Depending on what you’re looking for from a stone bathroom basin, we offer a range of different sizes to suitably fit in the bathroom. 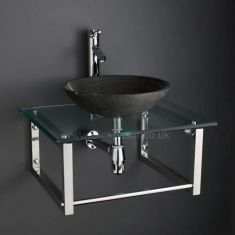 Whether that be small 320mm or up to a larger 420mm basin, we are able to accommodate to what you desire. 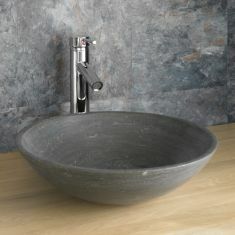 We’ve proudly provided stone basins to many businesses across the UK, including boutique hotels, bars and clubs. By supplying to these companies, we truly understand the attention to detail required to design and create an impressive customer experience. 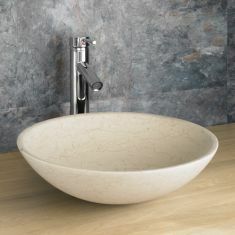 The neutral colourings that our stone basin offerings are available in help to easily integrate these stunning basins with existing colour schemes. 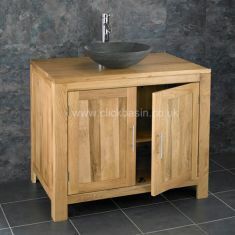 At Click Basin, we are also committed to finding the perfect basin for your home. Our stone basins are ideal for a sense of indulgence within a home bathroom, with carefully curved edges ensuring it’s velvety to touch. Our efficient delivery service means there’s no reason to wait. Each of our stone basins in stock means that they are ready for delivery and can be with you within 24 hours! 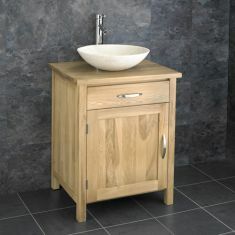 If that wasn’t good enough, as a thank you, Click Basin provide FREE DELIVERY straight to your home and ready to use as soon as possible.